Male migration is common in mammals and comes with associated benefits and costs. Male–male affiliative relationships are behavioural strategies that migrating males can adopt in order to maximise benefits and minimize costs. While we know that such strategies primarily serve to reduce tension, little is known about how they actually affect male immigration success. 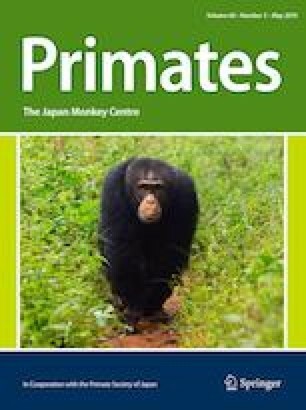 We investigated the influence of male–male affiliative relationships on immigration success in a group of wild Japanese macaques (Macaca fuscata). We used social network analysis to examine the distribution of male–male affiliative interactions and their association with immigration success. We found that visiting males with high eigenvector centralities and low weighted degree centralities were more likely to be integrated into the group. Other factors such as season, age-class, and dominance rank amongst visiting males did not affect male integration success. Our results suggest that strong male affiliative bonds and a centralized position within the male–male grooming network can predict future integration success of visiting males into a social group through promoting higher tolerance of resident males and reducing aggression risks. Tatsuro Kawazoe and Sebastian Sosa participated equally in this work. We would like to thank Dr. N. Nakagawa and members of the Laboratory of Human Evolution Studies, Kyoto University for their valuable input in the formulation of this research plan. We would also like to thank Dr. K. Izawa for his permission and support during field research. Dr. Hideki Sugiura and an anonymous reviewer provided helpful comments to improve the manuscript. This study was financially supported by the Cooperation Research Program of the Primate Research Institute, Kyoto University for T.K. (H20-F30, H21-B23) and Grant-in-Aid for Scientific Research from the Japan Society for the Promotion of Science (JSPS) for Dr. N. Nakagawa (B, No. 23370099).